As the Taiwanese presidential elections get closer, pro-independence candidate Tsai ing-Wen is getting more and more support. Taiwan's incumbent president, Ma Ying-jeou, has earned recognition for easing tension with longtime rival China. But as he campaigns for re-election this week, he is now fighting to maintain a lead in public opinion polls. The campaign trail the pro-independence main opposition is charging a lack of achievements by the current administration. At this musical rally Sunday in the Taiwanese capital Taipei, the main opposition party’s candidate Tsai Ing-wen sought to strengthen her rising voter support. Several-thousand people turned out for speeches and a concert to give the island’s first female presidential candidate the last leg up before the January 14 election. Ms. Tsai, a 55-year-old former vice premier with a law background has gained in opinion surveys since October as her campaign targets Taiwan’s vast lower middle class. President Ma Ying-jeou leads by less than one percentage point in some polls and lags Tsai in a few, down from leads of more than five percent in mid-2011. Ms. Tsai’s spokeswoman, Hsiao Bi-khim, says voters worry about a shortage of well paid jobs and lackluster local economies outside the capital. Hsiao says some voters distrust the president’s China policies, fearing that he has brought Taiwan dangerously close to Beijing during negotiations to open new trade channels. “There is a lot of anxiety now about whether jobs are sustainable, about whether the pay can support a decent middle-class life in Taipei. And those who look at the bigger picture are concerned about marginalization, Taiwan becoming a subsidiary of the Chinese economy,” she said. President Ma took office in 2008 and with broad backing from the ruling Nationalist Party entered landmark talks with Beijing to discuss economic cooperation. Those talks have produced 16 deals on investment, tourism and direct flights, all of which were restricted in the past. 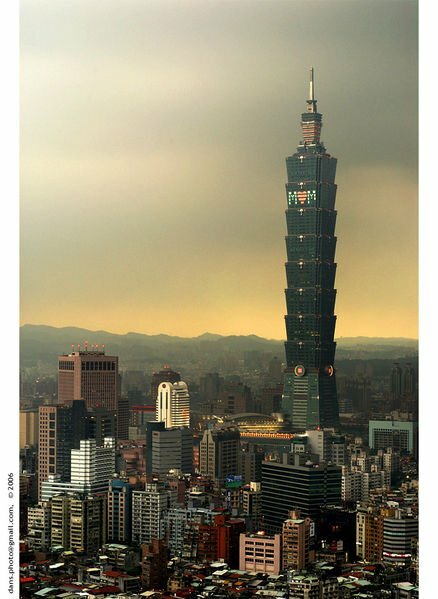 His administration argues that those new links to China’s huge markets rekindled Taiwan’s economy. China welcomed the dialogue. The Communist leadership has claimed sovereignty over Taiwan since the Chinese civil war of the 1940s and seeks reunification. Beijing does not recognize Taiwan’s democratic self rule and has not dropped the threat of force if Taiwan insists on remaining separate. But the 2008 world financial crisis and mid-2011 stock market slump, sparked by sovereign debt concerns in Europe, have hurt Taiwan’s economy, which depends on Western export markets. The government has predicted 4.51 percent GDP growth in 2011, below the six percent Mr. Ma promised four years ago. The Ma government ordered a multi-billion-dollar stimulus package to pull Taiwan out of a severe recession in 2009 and began to tax sales of high-end homes to keep prices affordable. But today some Taiwanese blame the president for letting wages stagnate and the wealth gap expand. Taiwan’s wealthiest 20 percent earn six times more than the bottom 20 percent. But the president’s campaign director, King Pu-tsung, told a November news conference that Taiwan’s economy remains one of the world’s best. "Can the president really be so incompetent if statistics show otherwise?" King asks. What Mr. Ma has done in three years has surpassed what the opposition did in eight years, he says and adds, statistics show Taiwan’s economy is in a positive trend and developing in an upward way," he said. Ms. Tsai’s Democratic Progressive Party emerged in the 1980s as a populist alternative to the Nationalists, who ruled all of China before the civil war. Her party won the 2000 and 2004 presidential races on its tough stand against China. Ms. Tsai has said she wants to discuss economic issues with Beijing on one unlikely condition, that the Communist government respects Taiwanese autonomy. But experts say China has faded from the campaign agenda as the threat of war recedes and voters worry more about their pocketbooks. Political scientist Shane Lee, of Chang Jung Christian University in Taiwan, says swing voters and young first-time voters are looking to Tsai’s party for something new. “Of course people feel that the enlarged gap between the rich and the poor really make the people very unhappy. Tsai’s camp asks people to think what Ma’s administration has accomplished in the past three or four years, and really nothing concrete can come out of this question, so people feel that it may be time for change,” he said. A minor party candidate, James Soong, has made things harder for the incumbent. Soong is a former provincial governor under Taiwan’s formal name, the Republic of China. His platform is similar in many ways to President Ma's, and thus, recent opinion surveys predict he could take five to eight percent of the vote that would otherwise likely go to the incumbent president. Taiwanese voters also will elect a new legislature on Saturday as the ruling party tries to hold a 64-percent majority of the 113 total seats. The Nationalists could use that lead to logjam the political process if they lose the presidency, as they did under opposition rule from 2000 to 2008. Campaigning is quiet by Taiwanese standards as both major candidates fret about criticisms of their public images. Hallmarks of past elections, such as violence and angry mass protests that swelled past 100,000 people, have stayed out of the 2012 race. Many voters are expected to stick with party affiliations that have decided past polls. Those in Taipei would favor the Nationalists, while counterparts in the south would prefer the opposition. But Taiwanese elections can be decided by just a few-thousand ballots, meaning Saturday’s outcome may hinge on last-minute decisions by Taiwan’s 18-million eligible voters.